This antelope lives only in South Africa and is endemic in Ethiopia. These are called mountain nyala, under the scientific name Mountain nyala. They are mammals belonging to the order Artiodactyla, family Bovidae, of the subfamily Bovidae, and gender of Tragelaphus. 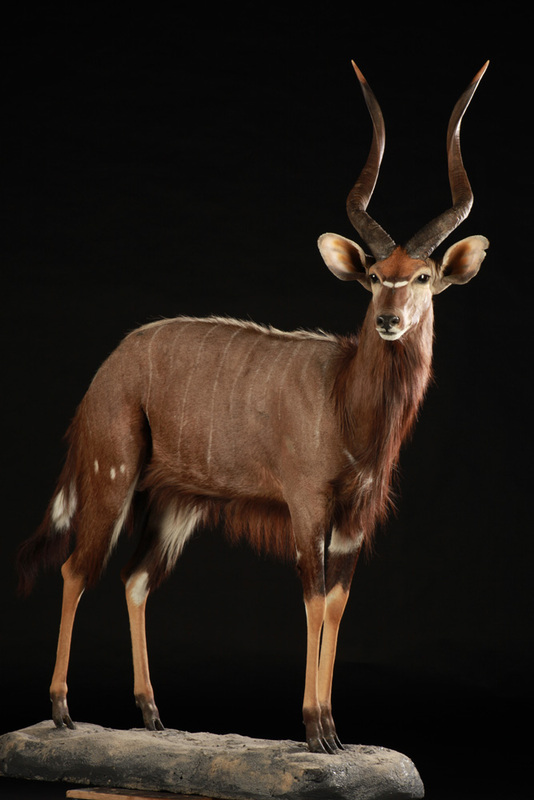 Nyala differs from all antelopes by its large ears and striated coat back to front with white vertical stripes. This coat is brown turning red. But males recognize females by their darker color. These are also the only ones with horns, which are arched, measuring about 70 cm. They also have a mane on their spine and back. 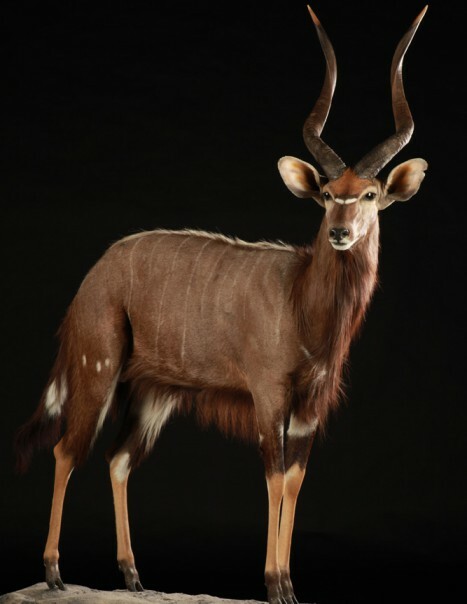 A nyala can weigh between 55 to 125 kg and measure about 1 meter at the withers. The body length is about 150 cm and its tail is 50 cm long. They usually live in mixed group of 10 to 15 individuals. Unlike some animals that live in colonies, among antelopes there may be more dominant males in a group. These dominant males are very discreet nature. In South Africa, they are nicknamed Ghost or Phantom, because of that discretion. They are solitary and live in dense forests near water. They are herbivorous animals that feed mainly on leaves but they also eat grass, bark and buds. To reach food in altitude, they can stand on two legs. They are mammals with a great sense of hearing and smell. These faculties compensate for their inability to run fast.